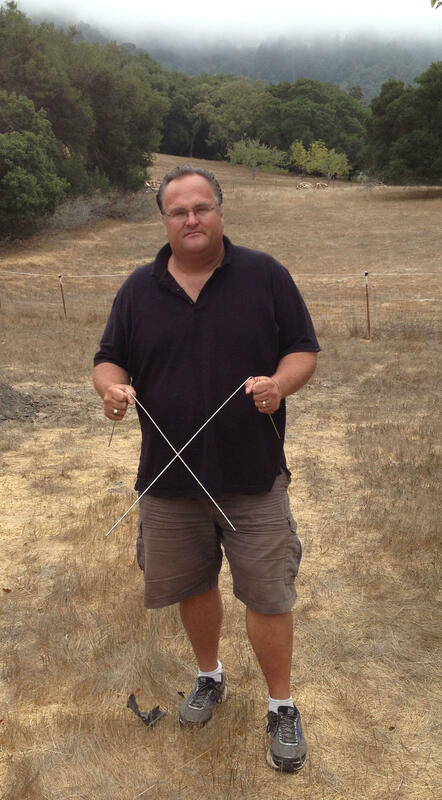 Rob Thompson demonstrates his dowsing technique at his east Santa Rosa ranch. As California’s severe drought continues, farmers, ranchers and vineyard owners are desperately searching for new or additional water sources. So Santa Rosa’s Rob Thompson is keeping busy. Rob Thompson’s water dowsing success rate is remarkable, even to him. He attributes it to a combination of a natural gift, and lots of concentrated practice.